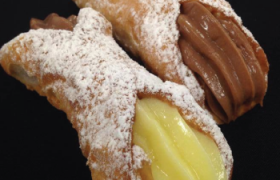 A traditional Italian pastry filled with vanilla and chocolate custard. 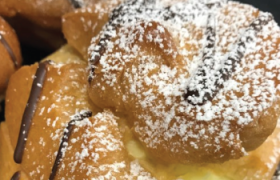 A round choux pastry shell filled with vanilla custard and drizzled with milk chocolate. 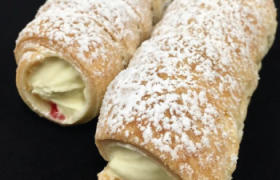 A rolled puff pastry shell filled with fresh cream and raspberry jam, dusted with icing sugar. 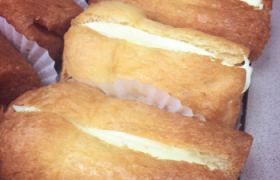 A soft yeast sponge soaked in traditional Strega liquor and filled with vanilla custard.